Data Protection law is changing. You may have already heard of the GDPR or General Data Protection Regulation which will take effect from the 25th of May 2018. 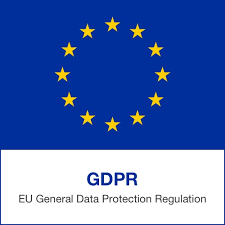 The GDPR is a new piece of legislation from the European Union which will replace the current UK Data Protection Act or DPA (1998). Britain’s decision to leave the EU will not affect the implementation of this new law, which will apply to companies across the world that process personal data belonging to citizens from the EU. This means that not only will the GDPR apply to businesses within with European Union, but also to everyone in the rest of the world who provide products or services in the EU. The General Data Protection Regulation data protection law will also change the way that businesses collect data. The legislation will require all companies to be able to prove that they have consent when collecting personal data. In order to obtain valid permission, businesses will have to use language that is easy to understand when requesting consent from an individual to collect personal data. They will also be required to state clearly how the data will be used. Businesses across the UK and globally will be required to comply with the General Data Protection Regulation data protection law and the consequences of failing to do so could be severe. The European Data Protection Authority will be able to take action against businesses anywhere in the world who fail to comply with the legislation. Non-compliance could result in businesses receiving fines of up to €20 million Euros or the equivalent to 4% of their yearly global turnover. Failure to attain valid consent could also result in any personal data handling activities being shut down by the authorities. The introduction of the General Data Protection Regulation data protection law may seem daunting at first glance but there are some simple steps that you can take to prepare for the changes ahead. Firstly, you should check that your current data protection procedures are up to date and comply with the current legislation. Ensure that your business can demonstrate that it has effective procedures in place to prevent any breaches of personal data. It may also be necessary to provide training to employees on the updates to data protection laws and ensure that they understand the procedures in place within your business or organisation for handling data. This article was added on Thursday, December 14th, 2017 at 4:08 pm and is categorised under General News. Both comments and pings are currently closed. Error: Error validating access token: Session has expired on Saturday, 09-Mar-19 13:12:58 PST. The current time is Thursday, 25-Apr-19 21:49:56 PDT.